This week my teaser comes from The Lantern by Deborah Lawrenson, which is the current readalong book for RIP VI. The sun had emerged, quick and sharp. It seared into the wall, on one small patch, lifting layer after layer of surface tints, from cream to burnt brown; so mottled, hacked, knocked, replaced, corroded that the effect was of a decrepit fresco. It would be a bit of a shame to paint over it now, I was thinking; it was part of the fabric of the building's history, like the various places in the house where the ghostly outlines remained of old doors now bricked up and plastered over. They were a fine counterpoint to the doors we found opened into new rooms that hadn't seemed to exist. What a description. I could almost reach out & touch it! What great imagery and beautiful writing - enjoy! Beautiful description! I like the cover, too. Like the teaser so much. Lovely choice. Such a wonderful descriptive reading. Pretty writing and such vivid descriptions! This sounds like a wonderful read. Nice teaser! So descriptive! Here is my teaser for this week. I've got a bit of that going in my house, but the painting must be done to preserve the wood. That writing is really descriptive! You picked a great passage. 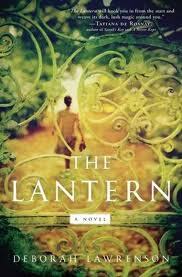 I finished The Lantern last week and am still thinking about my review. beautiful words - lovely teaser. ooohh, that's a great teaser! I've been trying to decide if I want to read this one. Thanks for stopping by mine from Anna and the French Kiss. I just got Lola and the Boy Next Door from the library! Nice and descriptive. Have to check this one out. Thanks. Great teaser. OK, now I'm really looking forward to this one. Oh, I so hope that you are loving this one, and I can't wait to find out what you think about the ending! I seem to be out of my reading slump and adding e-books to my tbr pile! Love that imagery!! Will be reading this in a few months with my book club! Melissa, Amy, I hope you enjoy it when you do read it! Yay for being out of your reading slump Gautami! Zibilee, now that is being a tease. I will have to keep reading to find out what happens at the end! Jenny Q, hope you enjoy Lola. Beth F, will be interested to see your review when you do write it. Alice, I imagine it is a fine line between atmosphere and practicality.